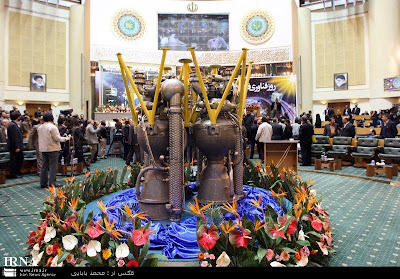 Tobapos -- Iran had planned to construct a large rocket by combining multiple engines in one booster. Many were laughing at that step. 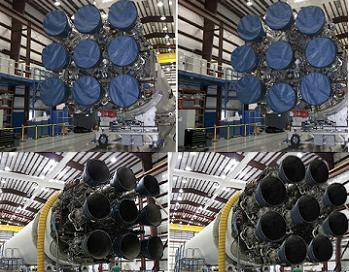 SpaceX is now apparently doing the same thing by combining 42 engine. SpaceX Chief Executive Elon Musk announced plans by his company to develop a large new launch vehicle and reusable spacecraft that could be ready to take large numbers of people to Mars as soon as the mid-2020s. Musk, in a highly-anticipated speech at the International Astronautical Congress here that attracted an unusually raucous audience for a professional conference, said that SpaceX had made initial progress on those plans despite only a small fraction of the company working on the effort. The “Interplanetary Transport System” announced by Musk involves the development of a large reusable booster that will launch a spaceship into low Earth orbit. That spaceship will be fueled by later booster launchers of tanker vehicles, then fly to Mars. The booster uses 42 Raptor engines in its first stage, generating a liftoff thrust of 28.6 million pounds-force, or more than three and a half times that of the Saturn. The Raptor engine, which uses methane and liquid oxygen propellant, was recently fired for the first time by SpaceX.